Posted on October 22, 2012 at 10:44 am. I mean that in a great way! 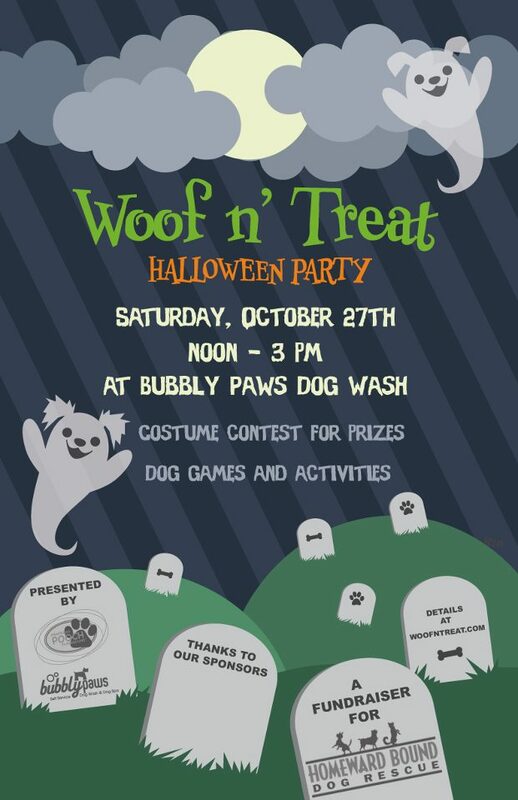 Just in time for Halloween, and thanks to the organizing chops of our neighbors at Bubbly Paws, the retailers here at Excelsior & Grand are hosting Woof ‘n Treat on Saturday, October 7 to benefit Homeward Bound Dog Rescue. There will be trick or treating for both 2 and 4 legged friends at the stores in the area with, of course, extra chocolate sampling happening here at Max’s, a dog costume contest, horse drawn hay rides, a photo booth, a jumpy castle and tattoos for the kids, a food truck, beer samples for the adults, a pumpkin patch and so much more. The event is from noon – 3 and it’s going to be a really fun day for the entire family here at Max’s and at all of the participating businesses at Excelsior & Grand. A portion of the proceeds from our chocolate sales for the entire day will be donated to Homeward Bound. Woof!